An easy to use screenshot sharing tool. Development version. I've had problems building it, similar to diddyonlinux but on Arch. 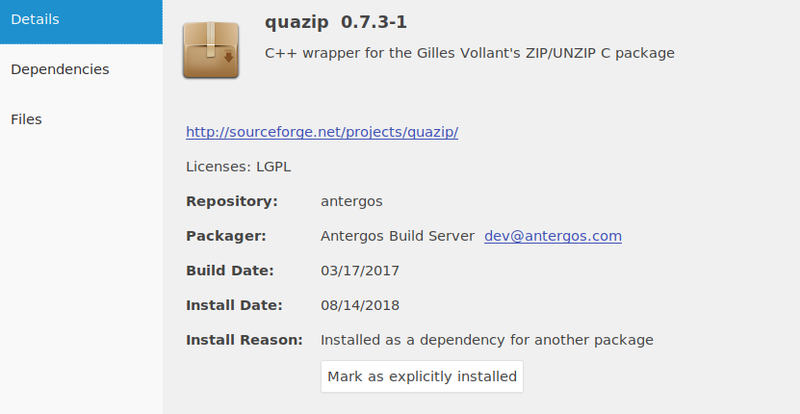 I got it working by installing quazip and removing quazip-qt4. They don't conflict so make sure you actually removed it. After that, delete cache and rebuild the package again. I was loving this distro till you run into little things like this. @diddyonlinux I'm not sure how you ended up with an old version of quazip, but try to update to the current version (0.7.6). Maybe that's the reason I can't reproduce the issue. Check with pacman -Qi quazip if there's any package that prevents you to update to the latest version. P.S. : Did you compile PythonQt with Python 2? @peasaretheworst You need to rebuild pythonqt first. Receiving the following error when building. Does not build. @yair Thanks for the report. I've updated the package to use Python 2 instead, until the issue is solved.